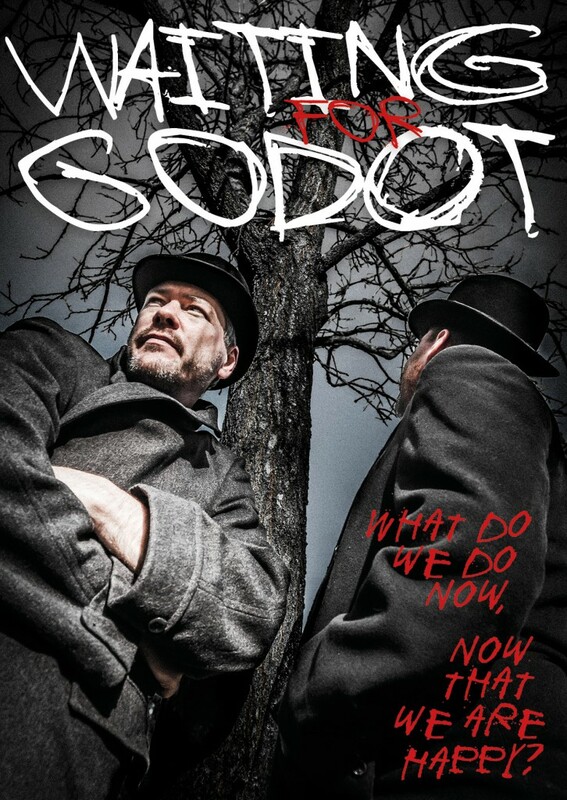 With 5 star reviews, innovative staging set against a post apocalyptic backdrop, Guildburys stylish interpretation of this fascinating play added to the intrigue that is Beckett’s masterpiece. A play that famously bemuses and amuses whilst challenging every answer the audience comes up with certainly lived up to its reputation. Described as a play where nothing happens twice, plenty happened constantly and it won over a whole new audience – as it never fails to do. Director Oli Bruce has achieved a long-standing dream of staging Godot, aided by the reliably excellent Guildburys team of actors we have come to expect. A fine evening, great fun, and I’m still thinking about it now! Not to be missed. I look forward to the Guildburys next production at the Electric Theatre in November -Tom Stoppard’s hilarious ‘On the Razzle’. Ufton and Brown were a brilliant double act, particularly in their moments of slapstick but also during more sombre moments.Griffith brought a manic urgency to the (lack of) proceedings, commanding the barren wasteland like a steampunk circus ringmaster and having Gogo and Didi engrossed in his tales. Kent has a truly beautiful speaking voice, no doubt made more appealing following the incredibly long silence that preceded it. Contrasted with Griffith’s more egomaniacal presence, this was another pair that worked very well together. The final member of the cast, Jordan Gunner as Godot’s messenger boy, well-spoken and more youthful than the rest. A fine young actor who, based on his two brief appearances, will no doubt go on to more prominent roles in the future.